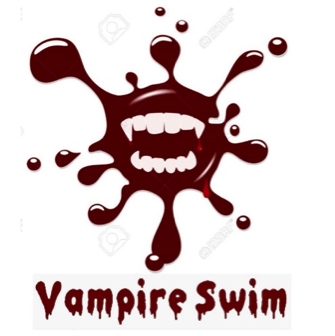 Vampire Swim – get entered. The Vampire Swim is going ahead in Myrtleville on October 31st at 12 midday. Swim is a loose term – you can just dip your feet for a paddle if you want. The goal is to encourage people to donate blood during this month. If you donate blood, the entry fee is €10 – if not, you can still swim, but it’s €15. Funds raised will be donated to the CUH Children’s Ward charity. A group is being organised to donate blood on October 16th at the Blood Bank in St. Finbarr’s Hospital. Contact Aisling Barry for details – barry.aisling08@gmail.com. For info on giving blood, see http://www.giveblood.ie. So, get ready to donate and register your entry with Aisling Barry. There are very cool vampire swim hats for the first 50 registered entries.